This signals a gap between strategy and execution. “In too many companies there is a grand, and overly vague, long-term goal on one hand…and detailed short-term budgets and annual plans on the other hand…with nothing in between to link the two together…The long term doesn’t start at year five of the current strategic plan. It starts right now!” (Harvard Business School Press, 1994). As the quote suggests, the strategy gap is often caused by ineffective strategic planning and budgeting. So what are the “failure” factors of these two critical business processes? Wrong priorities: Obviously, if the prioritisation of goals goes wrong right at the planning stage, these goals are not likely to be implemented effectively. Ultimately, the company is driven away from its strategy. Generic and vague goals: This could be demonstrated either through a lack of details or ambiguity in defining those goals. Missing accountability: If accountability is not clearly stated in the corporate planning, the organisation may have to spend more time on cleaning up internal politics chaos than executing important goals. No reference to corporate values: If a strategic plan does not incorporate an organisation’s core values and culture, it is not likely to be welcomed, digested and executed efficiently by its employees. Poor collaboration and communication: To ensure an enterprise-wide understanding of a strategic plan, it is not enough to merely send a one-time email to everyone. Moreover, it would be a disaster if people from different departments are not on the same page. Over-reliance on the past: In the ever changing business environment, if a budget is created based solely on historical data, that company stands a high chance of over-spending or under-spending. Lack of reliability: People may be tempted to overestimate their budget in order to achieve a goal with much more ease. Furthermore, data may not be accurate due to manual entry and a lack of synchronisation. Lack of a cause-effect linkage: There may be a no justification for a number in the budget, as to why it should be that amount and what prompts such a number to be written down in the budget. Poor communication and collaboration: Again, whether a budget is created using the top-down, bottom-up or both approaches, without effective coordination from different departments and high-level management, failure is expected. In conclusion, the strategy gap is not an impossible one to bridge, yet not an easy one to close either. Find out about the key factors of a successful strategy and execution alignment in our next blog entry. 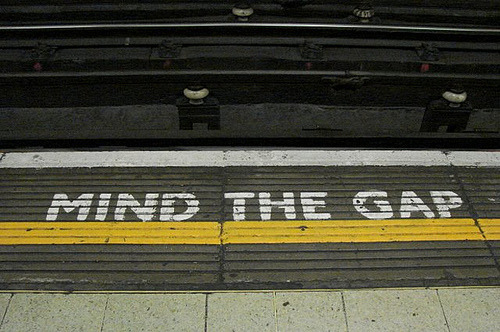 In the meantime, download the first part of the white paper “Addressing strategy management and the balanced scorecard” to read more about the strategy gap.